This term the pupils in KS3 and KS4 have been learning about cyber bullying, how to keep safe on the internet and using Social Media. 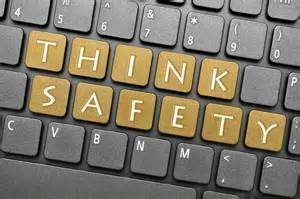 As the Half Term holiday approaches children may well be spending more time than usual on electronic devices, so we would like to draw your attention to our ICT – E-Safety Policy. There are some useful links to sites to provide you with advice and guidance on how to keep your children safe, including from the risk of radicalisation and extremism. Have a very happy – and safe – Half Term!